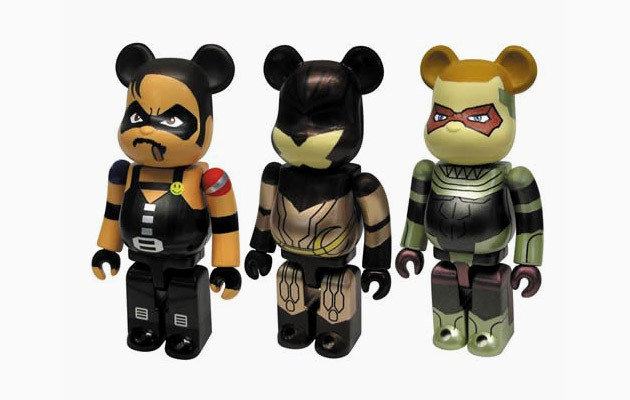 Medicom Toy is releasing the ‘The Watchmen’ Bearbrick Set to celebrate the movie’s theatrical release in March. 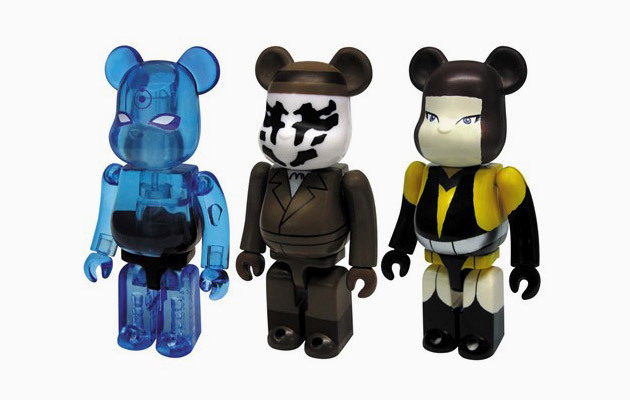 The two-set Bearbrick packages will include the main characters: The Comedian, Nite Owl II, Ozymandias, Doctor Manhattan, Rorschach and Silk Specre II. After a bit of a dispute over the rights to the movie and the threat of a possible hold of its release, I’m glad the higher-ups compromised for the sake of the audience’s anticipation. So mark your calendars — March 6th! I like how they didn’t go with blockbuster actors to market the movie and take the spotlight away from the actual characters. Oh, and releasing it on IMAX doesn’t hurt one bit. I already blogged this a while back with footages and the international poster, but now we have a trailer. What do you think? Either way you go on this one, I’m sure we’d all be in consensus about it being better than the Jean Claude Van-Damme version, eh? Dave White has been working on a piece dedicated to the late-Heath Ledger in his Golden Globe winning performance for ‘The Dark Knight’. Each print is done with 20+ color screens on 410gm Somerset Tub Matte paper. The first fifteen prints features a heavy impasto to give White’s signature textures, while the remaining thirty-five are more subtle on the hand finishings. For anyone interested in owning this amazing piece of artwork, please inquiry through enquiries@opus-art.com for more information. I just finished watching what I’m deeming to be one of the better movies of last year. I guess I’m just getting a bit tired of Hollywood, but the last two strongest flicks of the year were on foreign soil. Slumdog Millionaire might just be Danny Boyle’s most extraordinary work in his directorial career. 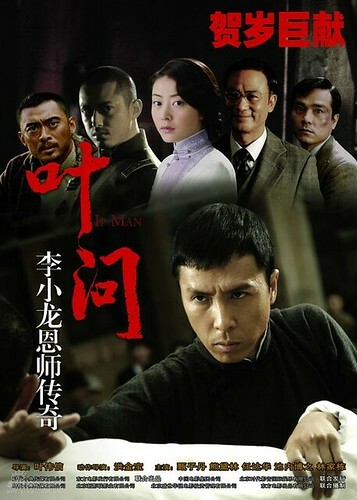 And now there’s Ip Man, which is a story based on the life of the grandmaster of Wing Chun style of kung-fu and master [sifu] of Bruce Lee. The movie takes place during the 1920s and 30s in the midst of the Sino-Japanese War when China was taken over by Japanese military. Being a patriotic man, and seeing his fellow countrymen slained by Japanese soldiers, Ip Man refused their offer to teach the infantry his skills which turned out to be detrimental to his own life. The movie is said to be the very first piece of work ever dedicated to the man and Donnie Yen does a very good portrayal. I’ve always been a fan of Mr. Yen’s work and this was no less stellar. Ip Man with a young Bruce Lee.